Wouldn’t it be nice if you can just rely on Google to keep using the same ranking methods and algorithms? In SEO, you’re always trying to get better rankings for more search keywords. That’s why professional SEO services are in such demand these days. But Google adheres to the same principle, which is, to always try to be better. So, every year the rules of SEO change. Mobile precedence. Just about everyone was surprised at how quickly mobile Internet became popular all over the world. That’s especially true for mobile search, which surged ahead of desktop searches by 2015. This means you need to have a website that’s suited for smartphones and tablets. In fact, you may want to prioritize the mobile version of your website over the desktop version. That’s because Google is doing the same thing. Google has announced that for 2017, their search engine will actually prioritize mobile versions of websites first. They will monitor this version and use it for their search results, since more people are using mobile devices to go online for searches. This “Mobile First” policy will mean that you better have a mobile version of your site. If you’re just building a website now for a new business, you also better make sure that it can be viewed properly on a smartphone, before you worry about the desktop version. Of course, that doesn’t mean that you can ignore the needs of your desktop website visitors. You can just use a responsive design so that you can have a site that suits both mobile and desktop users. Using voice search. When people use mobiles, most of the time they don’t use the virtual keyboard to tediously type long keyword phrases. They just use the voice search function in Google. A recent survey has revealed that the majority Internet search users use voice (55% of teens, 56% of adults). This will have a profound effect on which keywords you need to focus on, because people tend to use different keywords when they speak compared to when they use search. In fact, they tend to ask complete questions. You may want to include those same questions in your website, so you can answer them. More video. Ever since Google featured YouTube videos in search results, many websites have used videos as well. Although it still a long way off from supplanting text as the key method of sharing info online, its use has become more popular. That’s bound to be even more evident this year. So how can you make videos relevant in your website? That depends. You can use videos effectively when you wish to make a demonstration, or if you want to show something off instead of just describing it. If you’re selling goods, you can demonstrate how your products can be used and maintained properly. 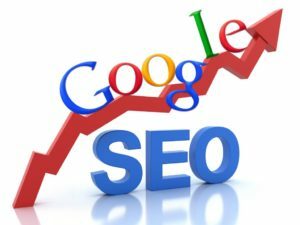 Know more about seo related tips here.